To build a solid Marketplace profile, you need a great Portfolio, which is a collection of projects that you want to showcase. 1. 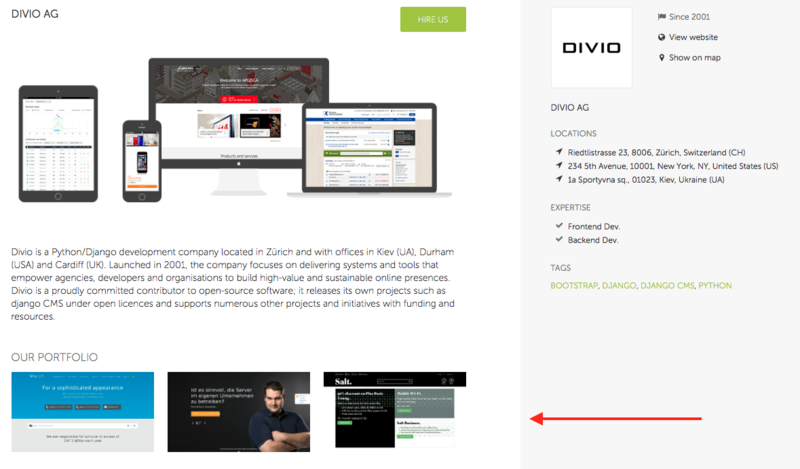 Log into your Divio Control Panel and select your desired account or organisation from the Context Menu. 2. Next, select Marketplace Profile in the Navigation Bar. 3. Select “Add portfolio item” to proceed. 4. Next, enter your Portfolio item Title and URL. 5. Check if your website has been created using django CMS. If your website was created with django CMS, we might feature it in the Showcase and/or Case Studies sections on django-cms.org or the django CMS Marketplace. 6. Hit Add Portfolio Item to save your settings. Within a few moments, a screenshot of your portfolio item will be automatically generated. Your Portfolio item is ready and will appear on your Marketplace page. To edit your portfolio items, simply use the Edit button corresponding to your desired item. 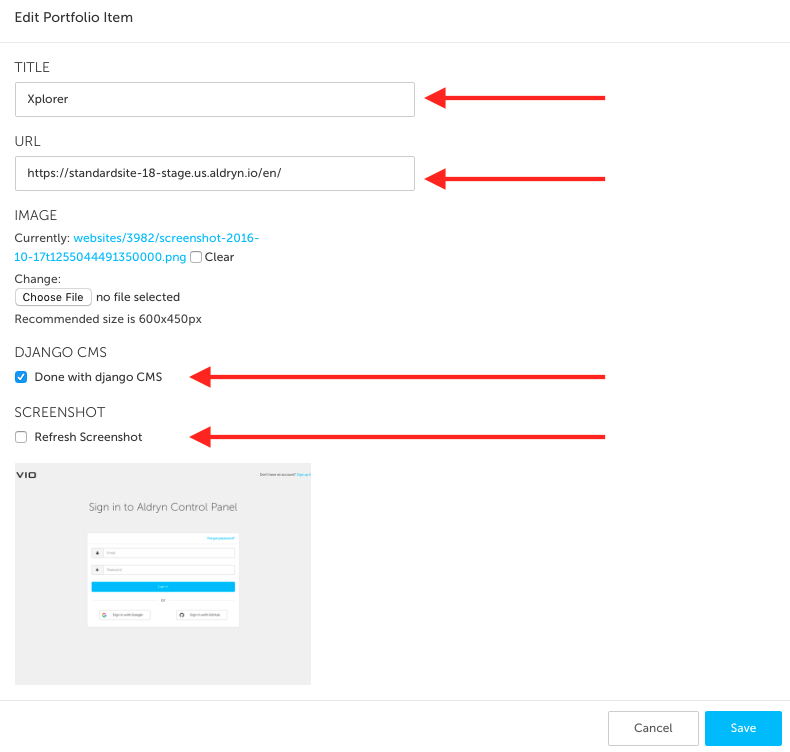 In the Edit screen, you can change your Portfolio item Title, URL or django CMS information. You can also refresh your Portfolio screenshot.